On Sunday, October 4, much-loved Chicago experimental unit Tortoise will play a free show at Reckless Records in Wicker Park (1532 N Milwaukee Ave) in support of their latest album, Beacons of Ancestorship. The performance begins at 5 p.m. The appearance will mark only the third time the band has performed in-store throughout their nearly 20-year history and is bound to draw a big crowd, so you'll probably want to get there early to stake out a spot. Below you can watch the video and download a free mp3 - courtesy of the band and Thrill Jockey Records - of one of the new tracks, "Prepare Your Coffin." Also worth checking out is this recent Q&A with percussionist John Herndon from our friends at loudlooppress.com. 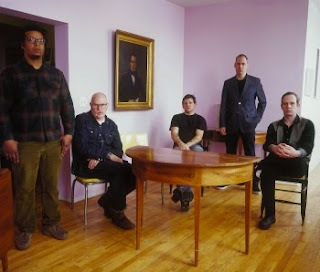 Download mp3: Tortoise - "Prepare Your Coffin"
Tortoise will play two additional hometown shows in October, supporting Wilco at the UIC Pavilion on Sunday the 18th and Monday the 19th. Interesting environment/time for a Tortoise show but should still be great. And FREE! Can't go wrong with that.